A bag made specifically for the cold transport of the life line of your business – your dough balls. 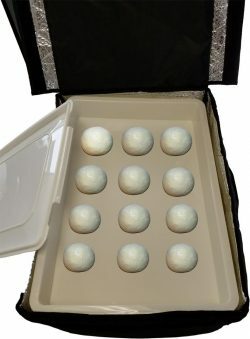 Having trouble finding a bag that will fit your 18 by 26-inch dough trays and be able to keep your dough balls cold through the end of your next event? 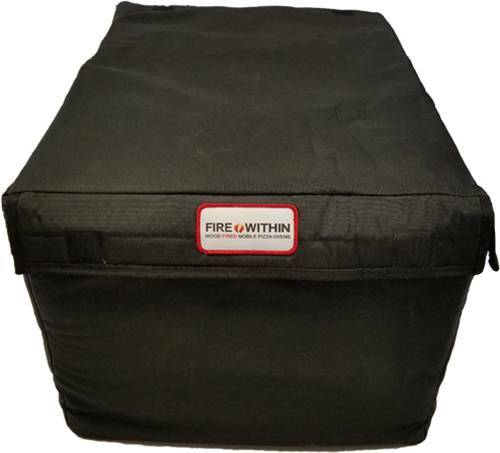 Fire Within has those dough trays covered with our one-of-a-kind dough bag. This thermal insulated pizza dough ball bag features durability coupled with light weight. Two layers of strong black canvas sandwiching a thin insulation layer, effective in a food temperature range of -60℉ to 180℉. Room enough to hold five stacked 18”x26”x3” dough trays. This means one bag will hold 75 seven-ounce dough balls! 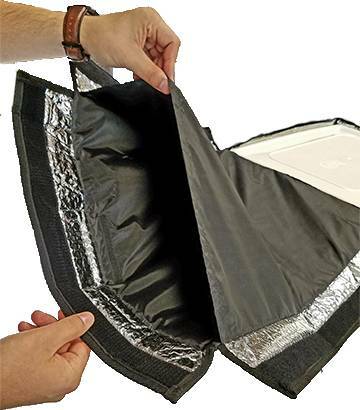 A spacious pouch built into the inside of the cover holds enough ice bags to keep your dough cold for hours. Puncture, weather, mold and mildew-resistant. Double-stitched handles on each side of the bag will hold up with continual heavy loads. Strong velcro tightly secures the bag cover, protecting your dough balls over the roughest highways and city streets. Fire Within designed and created this bag for you, the mobile caterer. Our bag will keep your dough balls cold (or warm, if that’s what you need) for years to come.